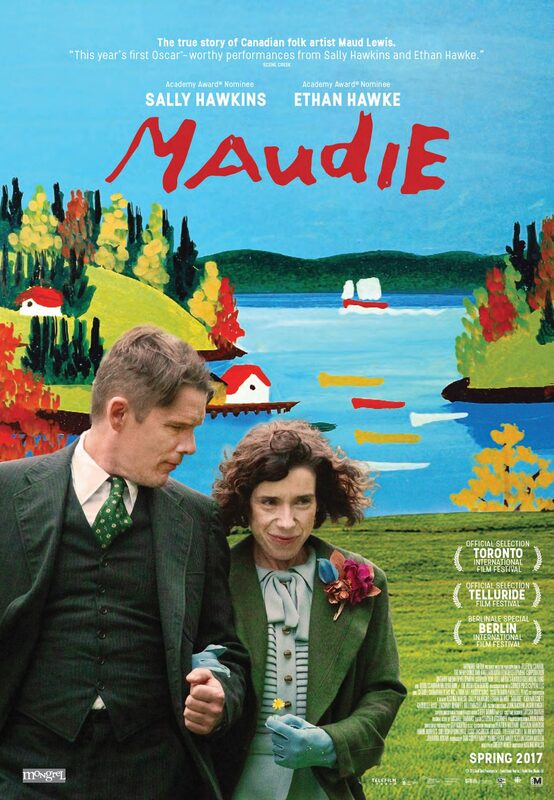 MAUDIE is an unlikely romance in which the reclusive Everett Lewis (Ethan Hawke) hires a fragile yet determined woman named Maudie (Sally Hawkins) to be his housekeeper. Maudie, bright-eyed but hunched with crippled hands, yearns to be independent and to create art. Unexpectedly, Everett finds himself falling in love. MAUDIE is a story of deep and abiding love. Basé sur une histoire vraie, Maudiedresse le portrait du couple improbable formé par Maud Lewis (Sally Hawkins), une artiste-peintre naïve qui s’épanouie tardivement et Everett (Ethan Hawke) un homme vivant reclus dans sa petite maison.